New Menu at the Black Dog in Bayfield! Last week the divas met to discuss their summer schedule of events and stories to cover. We met at the Black Dog in Bayfield and were greeted by owner Kathleen Sloan-McIntosh. She mentioned that the new menu was coming out the next day and offered us a sample of two of the new menu items. We tried two of the three amigos and yummy kofta patties in pitas. They were both really yummy and I probably could have stopped eating, but of course, that is not my style! We still had lots of “business” to discuss, so we all ordered. 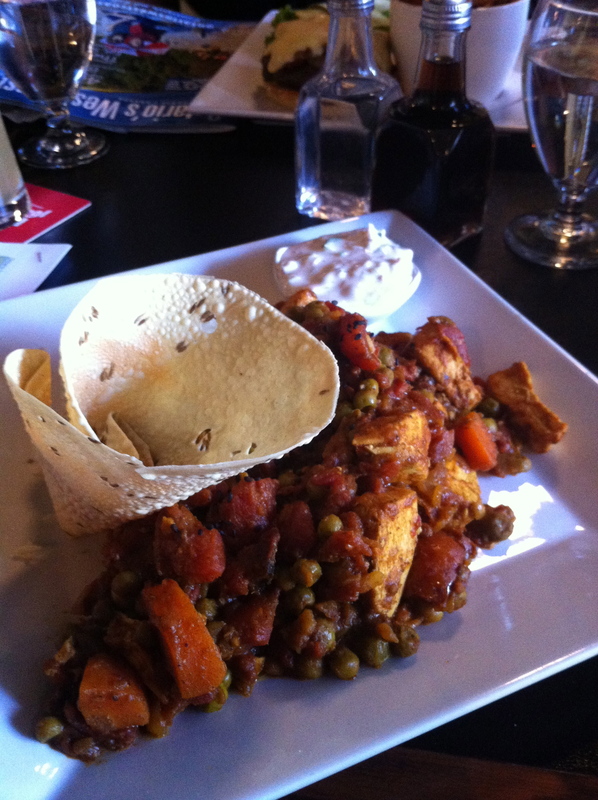 Lisa, Maegan and Trista all had one of the famous burgers and I had the scrumptious chicken curry. 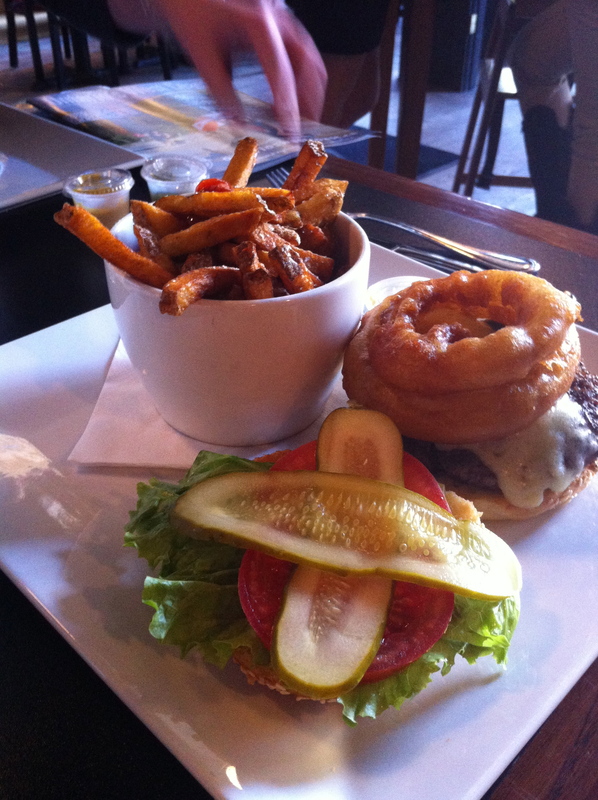 The Black Dog Pub and Bistro has a great menu and a huge variety of on tap beverages and whiskey! Kathleen’s husband Ted is a sommelier and has helped us out at Taste of Huron many times.